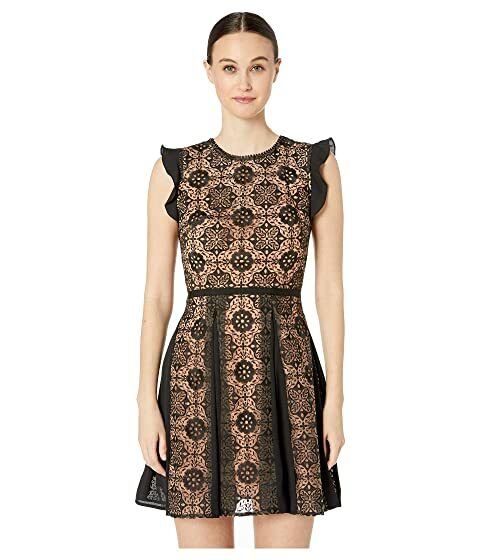 Hit the town looking flawless with the ML Monique Lhuillier™ Short Dress with Floral Calyps. Ruffled, cap sleeves in contrast fabrication. Attached circle skirt with back, godet detail. We can't currently find any similar items for the Short Dress with Floral Calyps on Half Bodice and Skirt by ML Monique Lhuillier. Sorry!